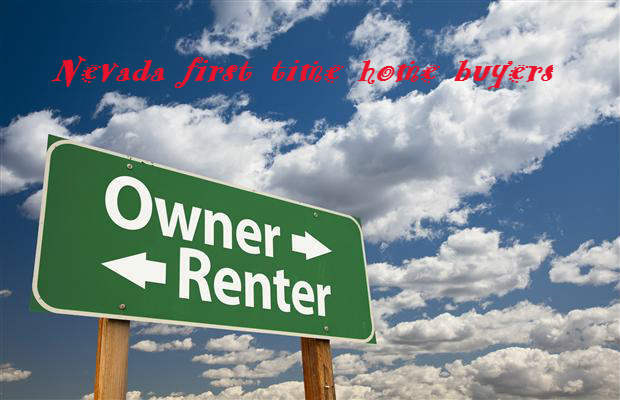 The Nevada First-Time Home Buyer Programs offer below-market fixed interest rate mortgage loans and grants. These programs are designed to help low and moderate buyers with down payment and closing costs which in some cases will be forgiven. A: Definition of the first-time homeowners by Department of Housing and Urban Development or HUD is needed. C: Nevada first-time home buyers have to meet 2017 income guidelines for the down payment assistance programs and cannot make in excess of the chart below based on family size. HUD 80% of median income for Clark County Nevada, including Las Vegas, Henderson, North Las Vegas and Unincorporated Clark County, Nevada. D: Applicants have to use a Realtor and mortgage officer who is certified to work with these programs and we are. E: Requires a home buyer to successfully complete a HUD-approved First-Time Home Buyer Education Course. Then they are assigned a certified housing counselor who will guide them. Every year we have to re-take the course to maintain our certification and can’t overemphasize the importance of the class and counseling sessions and their educational value. The majority of government programs offered have most of the requirements below, however private Nevada first-time home buyer programs have fewer requirements. If there is an exception, we will note it under the program. Applicant’s assets, including without limitation, may not exceed 50% of the purchase price of the residence being purchased unless disabled or elderly and such assets are the primary source of income. Income must support the repayment of the loan pursuant to the underwriting criteria applied by FHA, VA, RHS, or Fannie Mae, as applicable. Credit must meet the underwriting criteria applied by FHA, VA, RHS, or Fannie Mae, as applicable. Important: There is a Recapture Tax Penalty if you sell or otherwise dispose of all or any part of your interest in your residence within a specified time from the closing date of your Mortgage Loan. You may be required to pay federal income taxes for the taxable year in which you dispose of your interest in your residence in addition to the federal income taxes normally attributable to any gain recognized on the sale or disposition of your residence. Nevada first-time home buyer deals take longer to close which seems to be a disadvantage if your Realtor neglects to do one thing listed below. Applicants who have passed all stages and become ready to buy are already approved for the loan and final approval is contingent on appraisal. This removes much of the uncertainty about the outcome and makes it as close to a cash offer as a financing deal can be. Your Realtor should make sure that the seller and his listing agent understand this, which should more than make up for longer escrow time and even get a discount. In the next pages, we discuss government-Sponsored Las Vegas first-time Home Buyer Programs as well as private first time home buyer programs which have fewer restrictions.